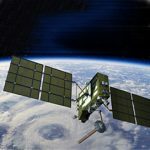 The National Oceanic and Atmospheric Administration‘s Commercial Remote Sensing Regulatory Affairs Office has moved to accelerate its licensing process for commercial Earth imaging systems, SpaceNews reported Thursday. The expedited process was partly driven by a 2017 agreement among the departments of Commerce, State, Defense and Interior and the Office of the Director of National Intelligence to establish interagency procedures to review commercial remote sensing license applications. Samira Patel, an Aerospace Corp. analyst, said that CRSRA worked to complete license application reviews within 91 days on average last year. The office’s efforts come as the U.S. government considers modifying regulations for the commercial remote sensing technology sector, the report noted. In February, the National Space Council recommended the integration of CRSRA into the Office of Space Commerce and the recommendation still awaits approval from the White House.